We are less than a week away from Apple’s big reveal on September 9th, and while many people are excited, some people are extremely excited. While that’s the date we expect Apple to officially reveal two new iPhones and possibly the first iWatch, apart from rumors and speculation, there’s not much to go on. So in theory, Apple could technically reveal none of those things, but they’d probably have a lot of angry people on their hands were that the case. Chances are, they will reveal the new iPhone(s), and the world will go crazy once again as it always does before a new iPhone releases. 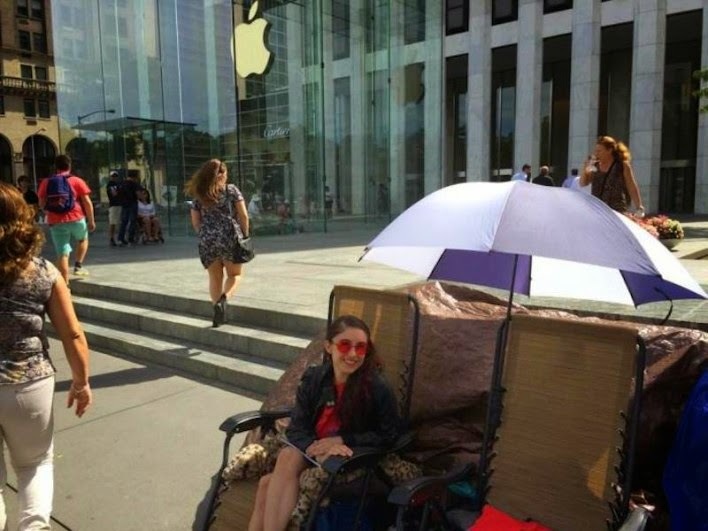 Some people already seem to be going crazy, though, as they are already camping out outside of an Apple store in New York City.